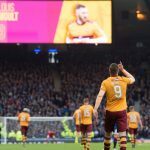 Rangers 0-2 Motherwell, 22-10-17 – Sparra, Jay, Peter Elder and Craig Holmes reflect on a magnificent day at Hampden as well as previewing upcoming games against Dundee and Hibs – then they go back and talk a bit more about Hampden. 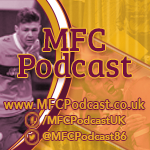 Following sound issue during the original recording of the podcast, Sparra was joined by Graham Barnstaple and Peter Elder to look back on the 2-0 victory over Kilmarnock, preview the forthcoming fixture against Hibernian at Easter, discuss the Motherwell squad joining the ‘Well Society, the decision of the EPL clubs to close their summer transfer window and much more. 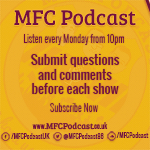 Sparra, Jay and Peter Elder look back on more disappointment for Motherwell and look ahead to the crucial visit to Hamilton, the home fixture against Kilmarnock and much, much more.